• A versatile set, designed for the re-chucking of bowls to remove chuck marks, add decoration or to re-shape the bottoms of bowls that have already been turned. • Precisely cast. Solid aluminium segments, strong platform for precise closing, fastening application, durability, and long life. • Quick mounting. Using your NOVA chuck fastenings onto your NOVA Chuck and with special Cole Jaw fastenings to hold your bowl. NOVA Large Cole Jaw Set has 12″/304mm bowl diameter capacity. An accessory for NOVA Chucks, designed to expand your range and capacity of your standard NOVA chuck for specific projects and applications. Please note: Due to sizing, only the SuperNOVA2 and Titan chucks are compatible with these jaws. NOVA 6040 Large Cole Jaw Set is a versatile set, designed for the re-chucking of bowls to remove chuck marks, add decoration or to re-shape the bottoms of bowls that have already been turned. 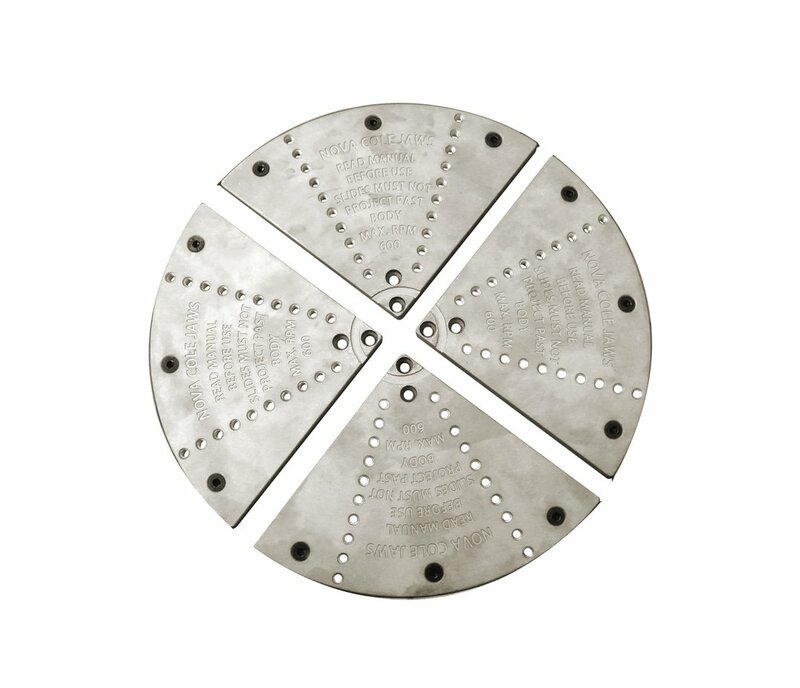 Other NOVA Accessory jaw sets can be added to the Cole Jaws making a combination jaw facility – expanding dovetail facility for mounting bowls/platters and a reverse dovetail for mounting footed bowls/platters. These jaws have many advantages over traditional vacuum chucking. Suitable for lathes with a minimum 12″ swing diameter. Diecast aluminium with pre-set holes, for precise closing, durability and long life. Standard rubber bumpers and instructions. 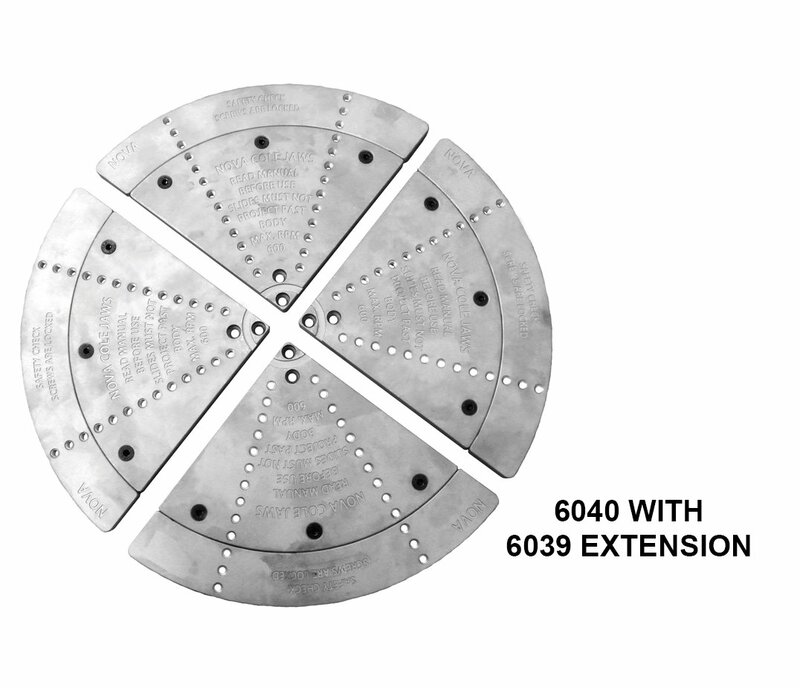 Note: The Standard 10″ JSCOLE and Mini 8″ 6006 Cole Jaws can not accept the extension feature.